Information about opening hours and availability on Campus Gotland 19 December 2016 - 9 January 2017. Almedal Library’s opening hours during the holidays can be found on Almedal Library’s website. IT support and Help Desk will be closed 22 December - 2 January and 6 January. For other times, refer to the university’s central Help Desk: helpdesk@uu.se. The reception will be closed 22 December - 8 January. It will reopen on 9 January. Maltfabriken restaurant will be open through 22 December. It will be closed thereafter and reopens on 9 January. The Language Workshop will be closed 19 December - 16 January. Reopens on 17 January. Student Health Service will be closed 23 December - 8 January. It will reopen on 9 January. 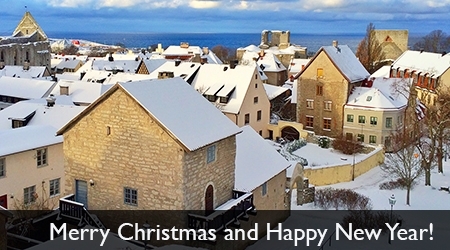 Rindi, Gotland’s Student Union, will be closed from 19 December - 8 January. It will reopen on 9 January. The study administration will be in reception through 22 December. From 23 December through 9 January, you can reach us at studentservicecampusgotland@uadm.uu.se. From 9 January, we will be back in reception from 10:00 a.m. - 1:00 p.m.
You can download transcripts, certificates of registration and Ladok certificates from the Student Portal under the tab “My studies”. The degree administration officer will be on campus through Thursday 22 December and will be on-site after the holidays on all business days (27 - 30 December and 2 January - 5 January). On 23 December, refer to the Graduation Office: +46 (0)18-471 1914 or examen@uadm.uu.se. The international officer is off from 21 December - 6 January. Refer instead to the International Office at mobility@uu.se. Study Guidance Counselling has appointments available through 20 December. For available times, visit www.timecenter.com/campusgotland/. Last drop-in: 15 December at 3:00 p.m. – 4:00 p.m.
21 December - 1 January: closed. 2 - 5 January: open for phone, email and booked appointments. Study Guidance Counselling will be open as usual from 9 January. If you have questions about your studies on a business day on which we are closed: contact the central Study and Career Counsellors at studentservice@uu.se. You can enter Campus Gotland’s facilities even while we are closed. Simply make sure you have a valid access card. Read more about access cards here. We wish you a Merry Christmas and a Happy New Year from Uppsala University - Campus Gotland, Almedal Library and Gotland’s Student Union Rindi!